Due to the rising cost of precious metals you are advised by your insurance company to have your jewellery valued on a regular basis. This is to ensure the appropriate amount has been specified for your valuables. If you don't declare the correct values of jewellery to your insurance company, they are not able to consider the appropriate risk at your home, therefore providing premiums that are lower than you would pay if they knew the true values of your jewellery. 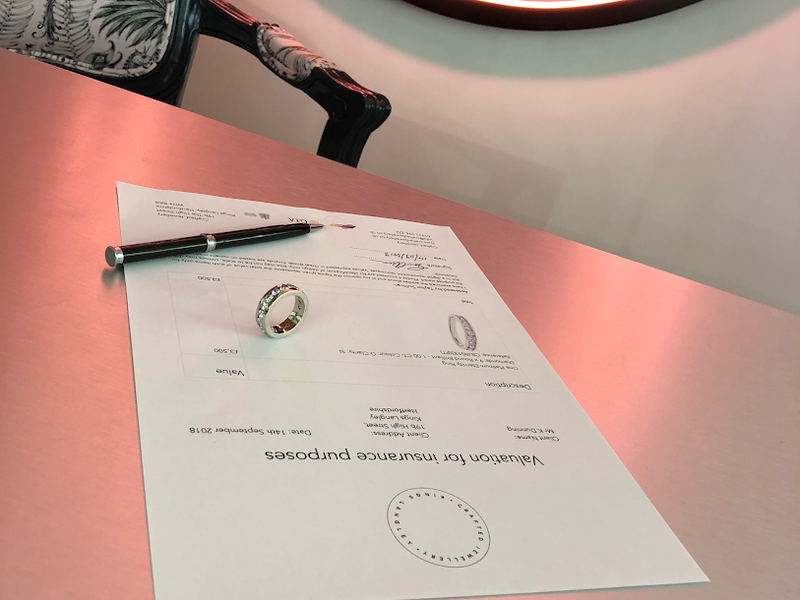 In this event your insurance company could refuse to pay out your entire claim!It is therefore incredibly important to have your items valued on a regular basis, and Crafted Jewellery is here to help. Our staff have a wealth of knowledge and can write new valuations that will give you peace of mind knowing your policy is covering you correctly. Give us a call or pop in to our showroom to discuss having your items valued or re-valued. Newer PostThe best christmas window display 2018!